This is an economic statistical indicator known to shift after macro economic conditions have shifted too. It also refers to a measurable indicator which has been found to change only after the economy itself has started to shift and follow a particular trend. 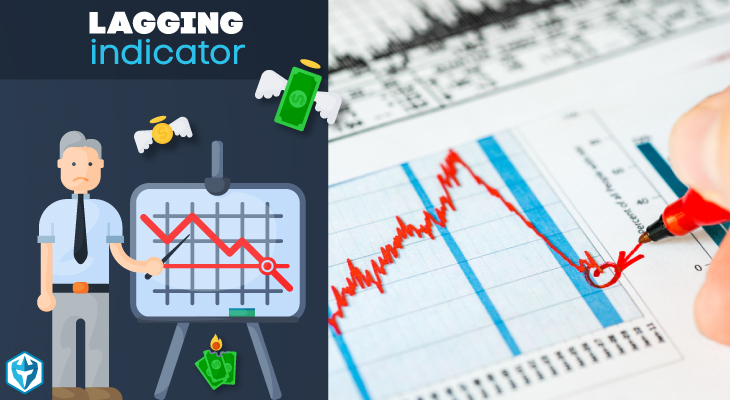 According to financial experts, lagging indicators are technical factors known to trail the price action of an underlying security. It is commonly used by traders with the purpose of generating transactional signals or even to confirm the strength of a given pattern. That is why a significant shift in the market occurs just before the indicator provides a signal. A lagging indicator is beneficial when it comes to confirming long term trends but sadly, it does not predict them. Furthermore, it helps financial experts and business people to understand the economy and factors that shape it. That is why paying attention to lagging indicators gives one ideas on the direction of the economy allowing you to plan your finances or career beforehand. Let’s face it; majority of nations around the world are faced with high unemployment rates. Graduates are leaving college and university for the job market only to find that no opportunities are available. Those that are available pay meager earnings which can be difficult to meet monthly needs like rent, food and student loan repayment. One thing you need to note is that unemployment is used by economic experts to measure how many people are searching for work. That is why for an economy to be rated as healthy, the unemployment rate should be around 3% to 5%. This is not so in many nations. The higher the unemployment rate, the less money people have to spend which in turn affects businesses like retail stores. The problem further affects housing markets, stocks and the GDP among others. While it’s a great indicator, unemployment rate can also be misleading. This is because it only reflects the unemployed who have sought jobs within the past four weeks. It is a common practice for companies to announce their pre-tax and post-tax profits at the end of every financial year. This is so for publicly traded companies. The reason for doing so is to reveal to the shareholders how the company has performed. Corporate profits are synonymous with the rise in GDP especially when they are strong. This helps to reflect an increase in sales finally encouraging job growth. Despite the good news above, corporate profits don’t reflect a healthy economy. In 2008, nations around the world experienced economic decline as a result of recession. No one had predicted this outcome because several companies had experienced increased profits due to outsourcing and downsizing. The result was more jobs were taken out of the economy which shows that this economic indicator displayed the wrong outcome. In the manufacturing sector, direct labor costs are determined by how quickly and efficiently factories are able to produce complete items. The costs do vary with every production run but to ensure efficiency, they have to remain within the same variance range. With the labor per cost unit, one can be able to identify why the actual costs are higher or lower. As a lagging indicator, labor cost per unit has been found to increase when manufacturing companies produce less per employee. This has been attributed to slower orders. As a result, companies will begin to lay-off workers in order to survive. This will result in higher unemployment rates. Factories may also opt to produce more which may result in a surplus. In the financial world, lending is a common phenomenon. It allows individuals and businesses to seek financial help which can be used to start a new business or expand the existing one. While financial help is readily offered, there is a catch…interest rates. This is the cost of borrowing money. It is based on the federal funds rate and represents the rate at which funds are lent from one bank to another. The rate is normally determined by the Federal Open Market Committee. What you need to know is that the rates do change as a result of economic and market events. If the federal funds rate rises, lenders and financial institutions will pay higher interest rates. This cost will definitely be passed down to the borrowers. As a result, borrowers will be discouraged to borrow resulting in the stagnation of the GDP growth. Low interest rates can lead to inflation which distorts the economy and currency value. That is why interest rates are vital economic indicators. This is a factor that measures the weighted average of prices of consumer goods and services. Some of them include food, medical care, shelter, clothing, electronics and transportation among others. Financial experts calculate the index by considering the price changes of every item in the predetermined basket and averaging them. As a result, the changes are used to indicate the cost of living. CPI-W is used to determine consumer price index for urban wage earners and clerical workers. CPI-U is for urban consumers. A higher cost of living results in inflation which in turn erodes the value of the currency. This has been found to decrease the purchasing power, job growth and GDP. In case of deflation, the results could be an economic depression. A healthy economy creates a suitable environment for businesses to thrive. Not only will new start-ups be opened but more people will be employed, borrowers will experience moderate interest rates and the cost of living will be favorable. To determine the health of an economy, it’s wise to use lagging indicators. They include unemployment rate, corporate earnings, labor cost per unit, interest rates and consumer price index.